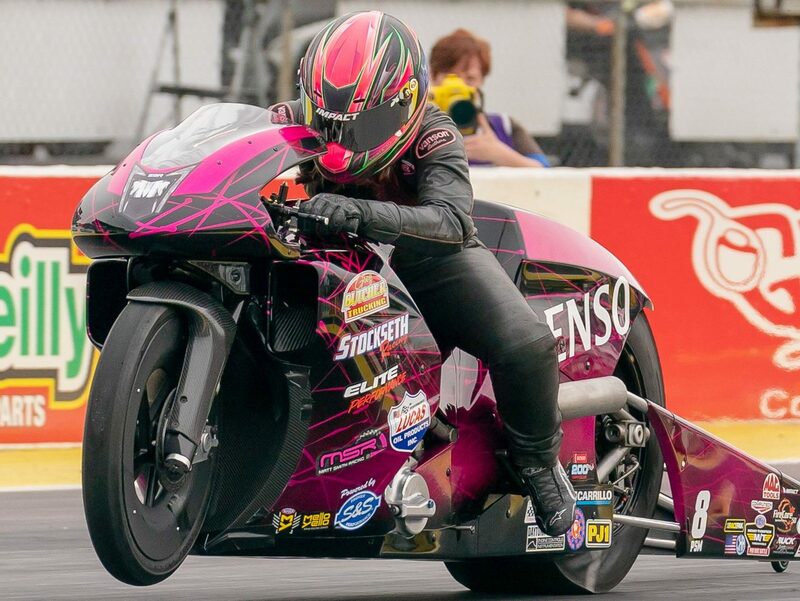 NHRA has stepped in and adjusted the weight minimums in Pro Stock Motorcycle in a move that appears designed to help the Suzukis stay competitive. The NHRA Technical Department is increasing the minimum weight of the Harley Davidson, Victory, EBR and Buell motorcycles from 625 pounds to 640 pounds. A release from NHRA says this change is based on Pro Stock Motorcycle performance numbers from the last portion of the 2018 season through the first race of the 2019 season. Smith also says the extra 15 pounds will make 200 mph runs unattainable. All other motorcycle minimum weights will remain the same: (Suzuki, 2-valve, 107 cid – 590 pounds), (Suzuki, 2-valve, 113 cid – 600 pounds), (Kawasaki, up to 107 cid, 2 or 4-vavle – 575 pounds). This rule change will go into effect immediately. NHRA says it reserves the right in the future to make additional rule changes to control performance and maintain parity in the category.